"Joe Scarborough and Mika Brzezinski, the hosts of MSNBC’s politics show Morning Joe, on Friday accused White House staff members of blackmail. Scarborough and Brzezinski also said Donald Trump lied about a December encounter, and that his “unhealthy obsession” with their program did not serve his mental health or the country well. The two TV hosts, who are engaged to be married, postponed a vacation in order to respond to Trump’s Thursday tweets about them – tweets that drew widespread condemnation. Trump called Brzezinski “crazy” and said she was “bleeding badly from a facelift” when he saw the couple at his Florida estate. On Friday’s Morning Joe, Scarborough claimed several top White House staffers had warned him about an unflattering article about him and Brzezinski due to published in the National Enquirer, and told him Trump could arrange for the story to be pulled – if the MSNBC host called the president to apologize for negative coverage of the administration. Scarborough said he declined to do so, and the story ran. Brzezinski also alleged that as part of the National Enquirer’s reporting, her teenage daughters were harassed with frequent phone calls. In a tweet on Friday morning, Trump fired back, and alleged that Scarborough had called him about the negative article. “He called me to stop a National Enquirer article. I said no! Bad show,” wrote the president of the United States. The National Enquirer put out its own statement. It read: “At the beginning of June, we accurately reported a story that recounted the relationship between Joe Scarborough and Mika Brzezinski, the truth of which is not in dispute. At no time did we threaten either Joe or Mika or their children in connection with our reporting on the story. A recent New Yorker magazine article detailed a close relationship between Trump and David Pecker, chief executive of the Enquirer’s parent company, and how the supermarket tabloid has lauded Trump and printed damaging articles about his political opponents. A spokesman for the New York County District Attorney declined to comment on whether they were investigating the claims. The district attorney’s office has a policy of not commenting on investigations, including whether or not an investigation exists. James Earl Jones Reads Frederick Douglass, the man that Donald Trump was ignorant enough to think was still alive. "The morning after being viciously attacked by President Trump on Twitter, MSNBC host Mika Brzezinski said she wasn’t exactly reeling as a result of the president’s deeply personal and vulgar social-media assault. But, she said, she is concerned about what Trump’s tweets reveal. “I’m fine,” Brzezinski said Friday on “Morning Joe.” “My family brought me up really tough. This is absolutely nothing for me personally. Brzezinski and her MSNBC co-host, Joe Scarborough, were scheduled to start a vacation, but delayed it so they could address the president’s attack, which came just after they’d finished their show Thursday morning. Trump lashed out at the MSNBC co-hosts Thursday morning, calling Brzezinski “low I.Q. Crazy Mika”— and claiming she “was bleeding badly from a facelift” when she and Scarborough came to Mar-a-Lago — his private club in Palm Beach, Fla. — three nights in a row late last year. Brzezinski and Scarborough were spotted at Trump’s New Year’s Eve party, according to pool reports at the time, prompting Scarborough to defend his presence there. At the time, Scarborough said that he and Brzezinski were at the party to set up an interview with the president-elect. “It was amazing how many lies he packed into two tweets,” Brzezinski said Friday. Mr. Trump claims that we asked to join him at Mar-a-Lago three nights in a row. That is false. He also claimed that he refused to see us. That is laughable. The president-elect invited us both to dinner on Dec. 30. Joe attended because Mika did not want to go. After listening to the president-elect talk about his foreign policy plans, Joe was asked by a disappointed Mr. Trump the next day if Mika could also visit Mar-a-Lago that night. She reluctantly agreed to go. After we arrived, the president-elect pulled us into his family’s living quarters with his wife, Melania, where we had a pleasant conversation. We politely declined his repeated invitations to attend a New Year’s Eve party, and we were back in our car within 15 minutes. Of Trump’s claims that Brzezinski was “bleeding badly from a facelift,” they wrote: “That is also a lie. It is disturbing that the president of the United States keeps up his unrelenting assault on women. From his menstruation musings about Megyn Kelly, to his fat-shaming treatment of a former Miss Universe, to his braggadocio claims about grabbing women’s genitalia, the 45th president is setting the poorest of standards for our children. We were heartened to hear a number of Republican lawmakers call out Mr. Trump for his offensive words and can only hope that the women who are closest to him will follow their examples. It would be the height of hypocrisy to claim the mantle of women’s empowerment while allowing a family member to continue such abusive conduct. Trump’s tweets caused an immediate and sustained uproar — and drew condemnation from members of both political parties. The White House came to Trump’s defense Thursday, saying that Brzezinski and Scarborough have said far worse things about the president and his staff. We have known Mr. Trump for more than a decade and have some fond memories of our relationship together. But that hasn’t stopped us from criticizing his abhorrent behavior or worrying about his fitness. During the height of the 2016 presidential campaign, Joe often listened to Trump staff members complain about their boss’s erratic behavior, including a top campaign official who was as close to the Republican candidate as anyone. We, too, have noticed a change in his behavior over the past few years. Perhaps that is why we were neither shocked nor insulted by the president’s personal attack. The Donald Trump we knew before the campaign was a flawed character but one who still seemed capable of keeping his worst instincts in check. The Post op-ed and Friday-morning MSNBC segment were Brzezinski’s first words on the matter — but not her first response to the attack. The message seemed to be aimed at mocking the size of the president’s hands — a sensitive topic for Trump that has dogged him for decades and even came up during a GOP presidential debate." Mika Brzezinski responds to President Trump's tweets - The Washington Post: ""
Travel ban 2.0 goes into effect despite courts saying security issues unfounded | US news | The Guardian. Dog Whistle politics playing with peoples lives and separating families. "The United States implemented a modified version of Donald Trump’s travel ban Thursday evening on some people from six Muslim-majority countries and certain refugees, citing security concerns that federal courts have declared to be unfounded. Travel ban 2.0 goes into effect despite courts saying security issues unfounded | US news | The Guardian: ""
"Bipartisan leaders on the House intelligence committee are threatening a subpoena if the White House does not clarify whether any recordings, memoranda or other documents exist of Donald Trump’s meetings with fired FBI director James Comey. The panel had previously set a 23 June deadline for the White House to respond to the panel’s request. The day before, Trump said in a series of tweets that he ‘did not make, and do not have, any such recordings’ but also said he has ‘no idea’ if tapes or recordings of his conversations with Comey exist. ‘With all of the recently reported electronic surveillance, intercepts, unmasking and illegal leaking of information, I have no idea ... whether there are ‘tapes’ or recordings of my conversations with James Comey, but I did not make, and do not have, any such recordings,’ the president wrote on Twitter. In a 23 June letter, the White House responded to the committee request by referring to Trump’s tweets." "Peter W. Smith portrayed the former general as an ally in an effort, independent of the Trump campaign, to find personal emails deleted by Hillary Clinton By Shane Harris June 29, 2017 5:14 p.m. ET WASHINGTON—Before the 2016 presidential election, a longtime Republican opposition researcher mounted an independent campaign to obtain emails he believed were stolen from Hillary Clinton’s private server, likely by Russian hackers." "I have to confess I’ve overestimated Donald Trump. I’ve had many opportunities to make use of that story since Trump became a presidential candidate, so it’s all fine for me. However, I have to admit that it did not occur to me he’d keep doing that kind of stuff as president of the United States." Trump Mocks Mika Brzezinski; Says She Was ‘Bleeding Badly From a Face-Lift’ - The New York Times - Trump's misogyny reflects the attitudes of far to many of his supporters. How else can you explain people who voted for a man who bragged about committing sexual battery upon numerous woman. "WASHINGTON — President Trump lashed out Thursday at the appearance and intellect of Mika Brzezinski, a co-host of MSNBC’s “Morning Joe,” drawing condemnation from his fellow Republicans and reigniting the controversy over his attitudes toward women that nearly derailed his candidacy last year. Mr. Trump’s invective threatened to further erode his support from Republican women and independents, both among voters and on Capitol Hill, where he needs negotiating leverage for the stalled Senate health care bill. The president described Ms. Brzezinski as “low I.Q. Crazy Mika” and claimed in a series of Twitter posts that she had been “bleeding badly from a face-lift” during a social gathering at Mr. Trump’s resort in Florida around New Year’s Eve. The White House did not explain what had prompted the outburst, but a spokeswoman said Ms. Brzezinski deserved a rebuke because of her show’s harsh stance on Mr. Trump. The tweets ended five months of relative silence from the president on the volatile subject of gender, reintroducing a political vulnerability: his history of demeaning women for their age, appearance and mental capacity. Trump Mocks Mika Brzezinski; Says She Was ‘Bleeding Badly From a Face-Lift’ - The New York Times: ""
Stepsister, Yes; Grandma, No: U.S. Sets Guidelines for Revised Travel Ban - The New York Times This mean, ignorant and just plain stupid. Trumps racism continues to be manifested in is hate for former President Obama. "Donald Trump has a thing about Barack Obama. Trump is obsessed with Obama. Obama haunts Trump’s dreams. One of Trump’s primary motivators is the absolute erasure of Obama — were it possible — not only from the political landscape but also from the history books. Trump is president because of Obama, or more precisely, because of his hostility to Obama. Trump came onto the political scene by attacking Obama. Trump has questioned not only Obama’s birthplace but also his academic and literary pedigree. He was head cheerleader of the racial “birther” lie and also cast doubt on whether Obama attended the schools he attended or even whether he wrote his acclaimed books. Trump has lied often about Obama: saying his inauguration crowd size exceeded Obama’s, saying that Obama tapped his phones and, just this week, saying that Obama colluded with the Russians. It’s like a 71-year-old male version of Jan from what I would call the Bratty Bunch: Obama, Obama, Obama. Trump wants to be Obama — held in high esteem. But, alas, Trump is Trump, and that is now and has always been trashy. Trump accrued financial wealth, but he never accrued cultural capital, at least not among the people from whom he most wanted it. Therefore, Trump is constantly whining about not being sufficiently applauded, commended, thanked, liked. His emotional injury is measured in his mind against Obama. How could Obama have been so celebrated while he is so reviled? Obama was a phenomenon. He was elegant and cerebral. He was devoid of personal scandal and drenched in personal erudition. He was a walking, talking rebuttal to white supremacy and the myths of black pathology and inferiority. He was the personification of the possible — a possible future in which legacy power and advantages are redistributed more broadly to all with the gift of talent and the discipline to excel. It is not a stretch here to link people’s feelings about Obama to their feelings about his blackness. Trump himself has more than once linked the two. Clearly, not only was Obama’s blackness in the front of Trump’s mind, but Trump also appears to subscribe to the racist theory that success or failure of a member of a racial group redounds to all in that group. This is a burden under which most minorities in this country labor. Trump was sent to Washington to strip it of all traces of Obama, to treat the Obama legacy as a historical oddity. Trump’s entire campaign was about undoing what Obama had done. Indeed, much of what Trump has accomplished — and it hasn’t been much — has been to undo Obama’s accomplishments, like pulling out of the Trans-Pacific Partnership and the Paris climate agreement and reversing an Obama-era rule that helped prevent guns from being purchased by certain mentally ill people. 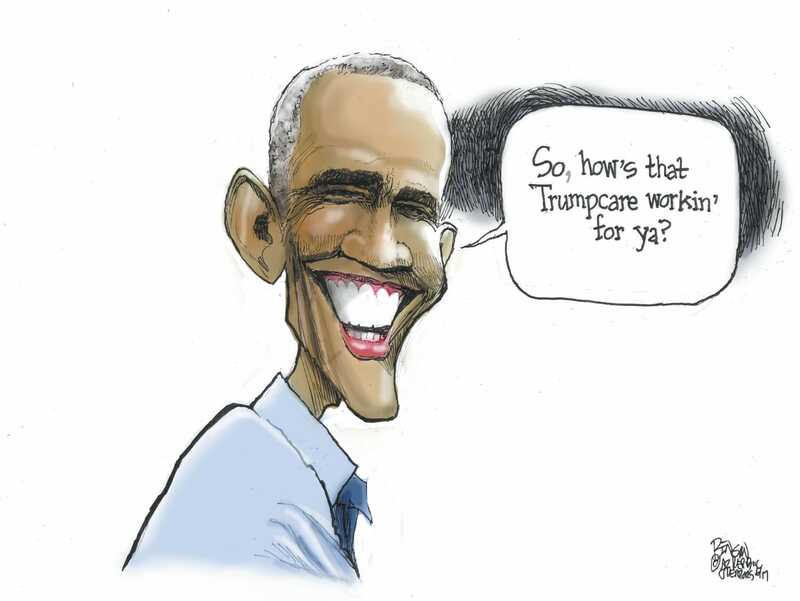 For Trump, even plans to repeal and replace the Affordable Care Act aren’t so much about creating better policy as they are about dismantling Obama’s legacy. The problem with Obamacare isn’t that it hasn’t borne fruit, but rather that it bears Obama’s name. For Trump, the mark of being a successful president is the degree to which he can expunge Obama’s presidency." "We've just seen three new polls on the Senate GOP's health-care bill, and each of them paints an increasingly dire picture for Republicans. Support for the bill is languishing between just 1 out of every 8 Americans and 1 out of every 6 Americans, according to polls from the Marist (17 percent), USA Today/Suffolk University (12 percent) and Quinnipiac University (16 percent). In each case, a majority opposes the bill. That's a level of popularity so low that it's difficult to believe the bill is being entertained. It's all a pretty stunning indictment of the GOP's failure to sell the bill. Republicans have focused like a laser on passing the legislation quickly — and secretively — in hopes of getting to a conference committee where the House and Senate can negotiate the final product. In the meantime, the American people have soured on the bill, disliking almost everything about it. "With the Senate effort to upend Obamacare suspended for the Fourth of July holiday, there’s a chance to step back and examine the assumptions behind Republicans’ longstanding objections to the social safety net — as well as the flaws in those assumptions. From Ronald Reagan’s invocation of a ‘welfare queen,’ to Mitt Romney’s derision of ‘takers,’ to the House and Senate bills to cut taxes for the rich by taking health insurance away from tens of millions of people, the premise of incessant Republican tax cutting is that the system robs the rich to lavish benefits on the poor. But here is an essential and overlooked truth: As a share of the economy, federal spending on low-income people, other than for their health care, has been falling steadily since it peaked in 2011, after the Great Recession, and while it’s still slightly above the long-term average, it is declining, according to a recent series of reports by the Center on Budget and Policy Priorities. Mandatory non-health programs like food stamps, earned-income tax credits and Supplemental Security Income for impoverished elderly and disabled people currently equal 1.5 percent of the gross domestic product, only modestly above the 40-year average of 1.3 percent. Moreover, if spending on those programs continues its current downward trend, it will fall below the long-run average by 2024." I believe the Canadian Court went to far and is abridging free speech. "Google must remove some search results worldwide, Canada's supreme court said Wednesday, in a ruling critics say could threaten free expression on the internet. The case involved a Canadian manufacturer of network gear that won an injunction against another company it said was illegally selling the gear online. The supreme court upheld a lower-court judge's ruling that blocking search results for pirated gear only on Google's Canada site, Google.ca, would do little to prevent potential customers from finding the gear. Customers outside Canada would still see the gear in search results on their country's version of Google. Canadian customers could simply use one of Google's many other search sites worldwide to locate the products. "The Internet has no borders -- its natural habitat is global," the supreme court wrote. "If the injunction were restricted to Canada alone or to google.ca, the remedy would be deprived of its intended ability to prevent irreparable harm." Critics, however, including Google, say the case threatens freedom of expression. Canadian group OpenMedia, which focuses on internet rights and filed a brief during the legal proceedings, said in a blog post Wednesday that the supreme court ruling could bring different country's laws into conflict. "There is great risk that governments and commercial entities will see this ruling as justifying censorship requests that could result in perfectly legal and legitimate content disappearing off the web because of a court order in the opposite corner of the globe," the group wrote. The supreme court, though, says free speech and pirated goods don't necessarily go well together. "This is not an order to remove speech that, on its face, engages freedom of expression values," the court said in its ruling. "It is an order to de-index websites that are in violation of several court orders. We have not, to date, accepted that freedom of expression requires the facilitation of the unlawful sale of goods." 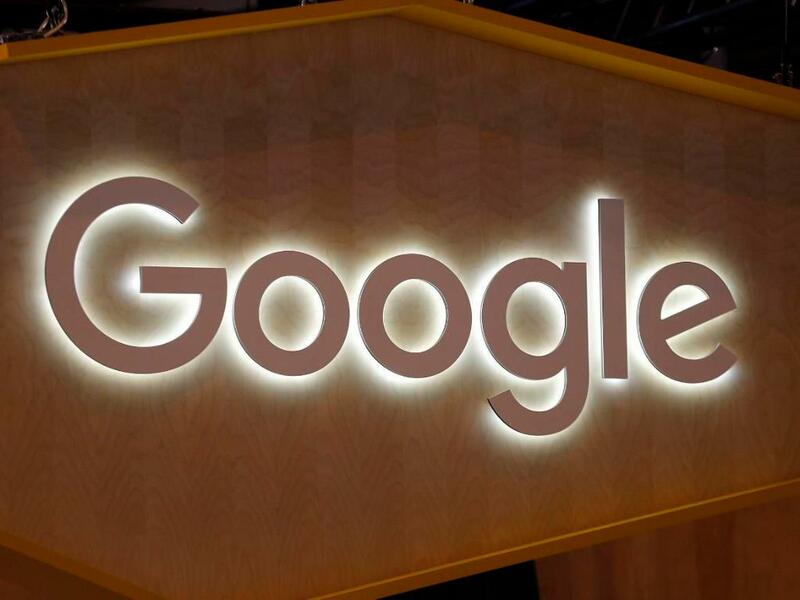 The court said further that if Google has evidence that complying with the injunction would violate another country's laws, including speech laws, it can apply to the lower court to amend the injunction. Google didn't immediately respond to a request for comment on the supreme court ruling." Atlanta officer suspended after release of arrest video. Dumb, ignorant and just plain stupid. We have to hold our police accountable and hire better educated officers. Their average IQ is 104. "An Atlanta police officer has been placed on administrative leave after a video appears to show him punching a man in the head. The video was recorded Thursday and released on Facebook by Black Lives Matter of Greater Atlanta. A spokesman for the organization said the arrest took place on Broad Street and Upper Alabama in Five Points." "Senator Mitch McConnell hoped that keeping his wretched bill to destroy the Affordable Care Act secret until the last minute would make it easier for him to railroad fellow Republicans. The facts the majority leader had hoped to suppress came back to bite him on Monday when the Congressional Budget Office released a detailed review of the bill that confirmed what governors, doctors and indeed the American public had been saying for days: The bill is a cruel hoax that would help the wealthiest Americans at the expense of the poorest. 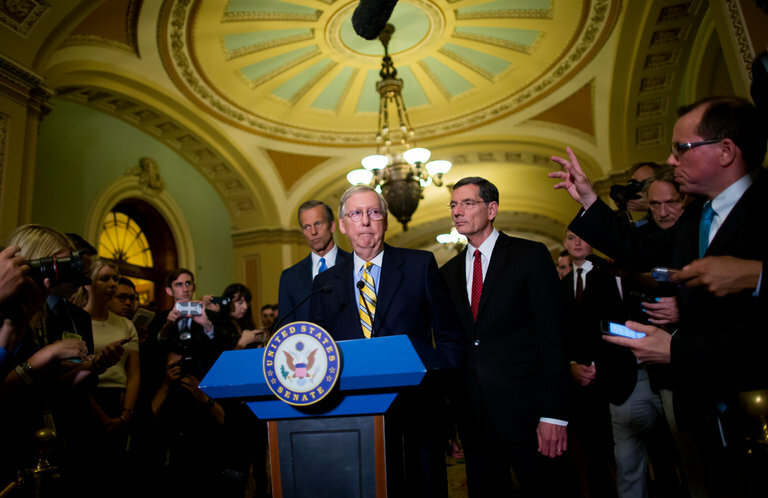 With members of his own party balking at even bringing the measure to the Senate floor, Mr. McConnell announced on Tuesday that a vote would be delayed until after the July 4 recess. A wiser course — for his party as well as the nation — would be to concede defeat and give up what now seems a desperate quest to fulfill a seven-year-old party commitment to kill an Obama-era program that, as it turns out, a large number of Americans would like to see preserved and improved. The budget office said the measure would leave 22 million more Americans without insurance by 2026. Hit hardest would be lower-income people between the ages of 50 and 64 and people struggling with chronic illness or battling addiction — many of the same voters who believed President Trump’s promises to improve their health care. The bill would cut $772 billion over the next decade from Medicaid, which covers most of America’s poor children and nursing home patients, to help finance tax cuts for the wealthy." "Senate Republican leaders bowed to pressure from within their own ranks Tuesday and postponed a vote to overhaul the Affordable Care Act until after the July 4 recess, raising doubts about their ability to fulfill one of their party’s core political promises. The delay, which now exposes lawmakers to a barrage of lobbying as they face their constituents over the holiday, has left a measure orchestrated to pass swiftly this week now teetering in the balance. But Senate Majority Leader Mitch McConnell (R-Ky.) had little choice after five Senate Republicans said they could not support a move to bring up the bill this week in the wake of a new budget analysis of the bill’s impacts. Conservatives are blasting the plan for leaving too much of the existing law in place, while a coalition of patient advocates, doctors and senior citizens’ groups have joined Democrats in decrying its proposed cuts to the Medicaid program and rollback of taxes imposed on the wealthy. 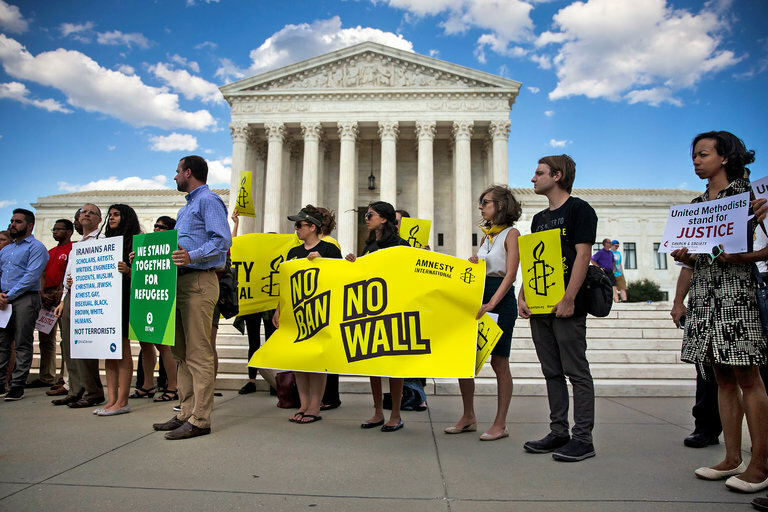 "President Trump’s executive order temporarily banning travelers from six Muslim-majority nations due to “heightened concerns about terrorism” was quickly frozen by the courts, much like an earlier version of the ban, until the Supreme Court acted on Monday. "Did President Obama blow the 2016 election? Should he have spoken up sooner and louder about Russia’s interference? That’s what many Democrats are wondering, particularly after reading the Washington Post’s latest investigative report on Obama’s reticent response to the Russian attack. A former official tells the Post that after the election, Obama’s aides, ‘mortified’ by Donald Trump’s victory, thought to themselves: ‘Wow, did we mishandle this. There’s plenty to second-guess in Obama’s management of this episode. But the idea that he failed because Trump won is wrong. Obama’s job wasn’t to prevent the election of a particular person, even one as awful as Trump. Obama’s job was to preserve the country. That meant protecting the integrity of our elections and public faith in them, which he did, to the extent possible after Russia had already hacked into the Democratic National Committee and spread misinformation. The next task—exposing the full extent of Russia’s interference, punishing it, and deterring future attacks—is up to Trump. If he fails, the responsibility to hold him accountable falls to Congress. And if Congress fails, the job of electing a new, more patriotic legislature falls to voters. According to the U.S. intelligence community’s Jan. 6 assessment, Vladimir Putin’s long-term goal in directing the interference campaign was to “undermine public faith in the US democratic process.” Obama responded accordingly. “We set out from a first-order principle that required us to defend the integrity of the vote,” Obama’s former chief of staff, Denis McDonough, told the Post. Russia’s hacks and leaks were bad, but corruption of voter rolls and election tallies would be far worse. So the Obama administration focused on alerting state officials, fortifying cyberdefenses, and privately threatening Russia with retaliation. Why didn’t Obama raise public alarms about Russian infiltration? Because that might have backfired. “Trump was predicting that the election would be rigged,” says the Post. “Obama officials feared providing fuel to such claims, playing into Russia’s efforts to discredit the outcome.” According to the paper, Obama and his team “worried that any action they took would be perceived as political interference in an already volatile campaign.” Rather than speak up when the CIA first warned him about Putin’s moves, Obama waited for “a high-confidence assessment from U.S. intelligence agencies on Russia’s role and intent.” He asked congressional Republicans to join him in cautioning citizens and state election officials. You can argue that this was politically naïve. But Obama wasn’t playing politics. He was trying to unite the country. It’s easy to fault Obama and his team for these blinders. But we don’t know what would have happened had he acted differently. If he had raised a stink before the intelligence community reached a consensus, or if he had warned the public explicitly that Russia was trying to help Trump, imagine the outrage. It’s quite plausible that Trump would have won—perhaps even coming out ahead in the popular vote—and Democrats would now be castigating Obama for ruining everything. Obama and his aides wrongly assumed the next administration would punish Russia, that’s true. But what the anonymous Obama official told the Post—that there would be “ample time after the election, regardless of outcome, for punitive measures”—is also true. Holding Putin accountable and deterring him from future aggression isn’t Obama’s job. It’s Trump’s. Putin sought to hurt Clinton and help Trump. That’s clear in the intelligence community’s Jan. 6 assessment. But in the heat of the election, Clinton was poorly positioned to make that case. So was Obama, her benefactor and fellow Democrat. The most credible messengers would have been Republicans. The most credible of all, to this day, would be Trump. Nothing in Trump’s history suggests he has the moral comprehension or will to speak the truth about what Putin did, much less to confront him. But every president must be held to a presidential standard. Obama met that standard. He focused on protecting democracy, not on electing Clinton. He did this so that an American republic could be passed to his successor. Trump’s duty is to safeguard that inheritance. McConnell and other Republicans, having refused to speak publicly about Russian meddling before the election, owe it to their country to uncover the full of extent of what happened. That’s what makes Trump’s efforts to derail the FBI’s Russia investigation, and Republican attempts to excuse this sabotage, so treasonous. Trump has repaid Obama’s patriotism by rewarding and protecting Putin. Trump refuses to concede that Russia was behind the election hack. He has tried to loosen, not tighten, sanctions on Russia. He has invited Russia’s foreign minister to the White House and assured him, in a meeting closed to the press, that by firing Comey, Trump relieved “pressure” on the U.S.-Russia relationship. The Russia investigation was never about Russia. It was, and is, about America. It’s about whether you put your country before a partisan or personal agenda. It’s about understanding that America isn’t just a plot of land. It’s an idea. We elect our leaders, our leaders follow rules, and they represent all of us. Obama was determined to preserve that idea, even at the risk of relinquishing the White House to Trump. The successor who betrayed him—and us—is unworthy of his office.